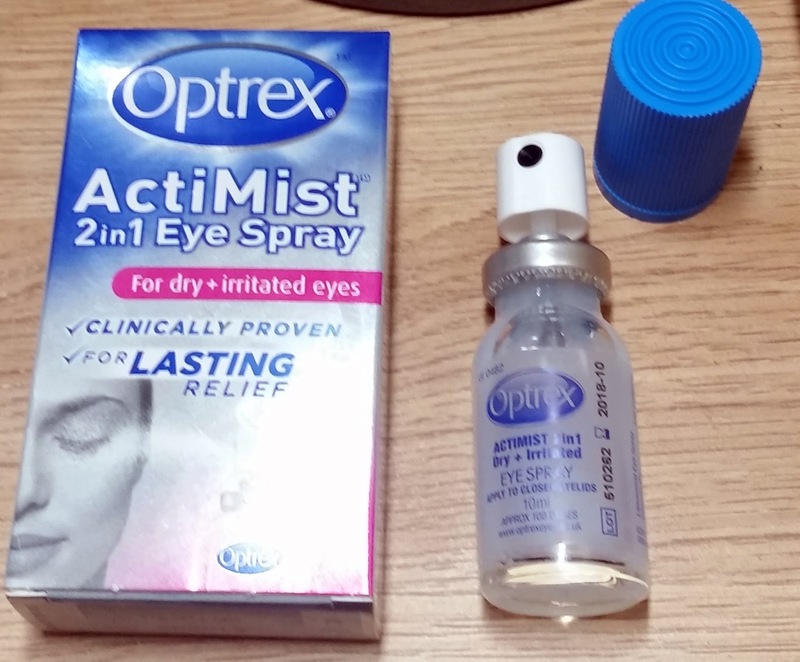 Home / Verbal / Optrex ActiMist 2in1 Eye Spray For Dry And Irritated Eyes. 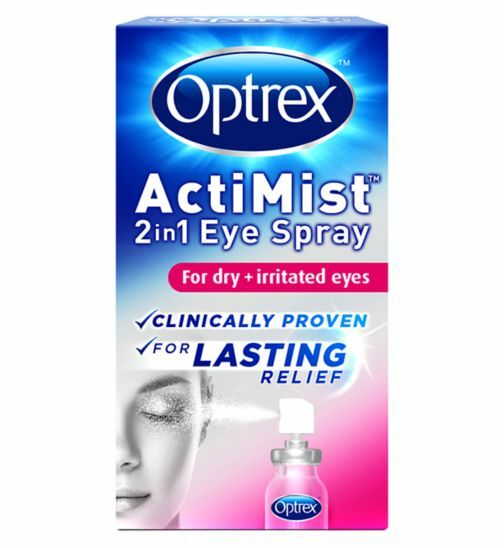 Optrex ActiMist 2in1 Eye Spray For Dry And Irritated Eyes. Optrex the eye care specialists, have your eyes health in their best interests by providing products that really do work to provide relief from your eye problems you may be experiencing. According to a recent survey we are spending on average more than six and half hours a day staring at our screens whether that be your television, computer or mobile, which can take its toll on our eyes. Staring at your device too long can cause dryness and irritation, which was found in half of the people surveyed. Dry eyes is a common condition which occurs when your eyes don't produce enough tears or the tears evaporate too quickly which then leads on to your eyes drying out, becoming red, swollen or irritated. There are many potential triggers for dry eyes including working with computers, dry climates and hot blowing air. If you are unsure whether you are experiencing dry eyes, take on the Optrex blink challenge! Watch the video and stare-off Rodrigo! If you Blinked when gazing at Rodrigo you could have dry eyes, though you should consult a health care professional to receive a medical diagnosis as the video is not a diagnostic tool. 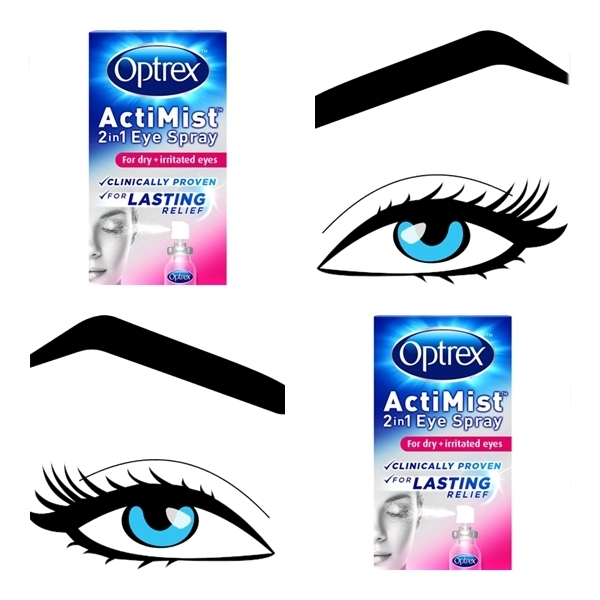 Show your eyes some loving tender care with Optrex ActiMist 2 in 1 Eye Spray For Dry and Irritated Eyes. The liposomal spray helps repair the oily layer of the natural tear film which may have been disturbed by environmental factors such as staring at screen too long, air-conditioning or central heating. The 2 in 1 eye spray also helps to relieve, refresh and revive dry eyes when you need it the most and is bag friendly to carry, when your out and about. Compatible with contact lenses, there is no need to fiddle with your lenses trying to take them out to place drops in your eyes to then try and put your contacts back in. The eye spray is also make-up compatible and will not smudge your eye make-up you have spent your time applying. 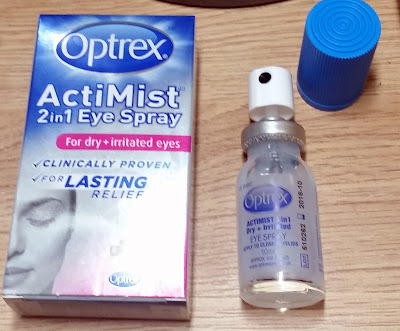 I sprayed the ActiMist 2in1 Eye Spray For Dry and Irritated eyes onto my closed lids and i instantly felt cool, soothed eyes immediately. I really like the sprays better than eye drops as i never seem to be able to get the drops in my eyes, i miss spectacularly. You can spray 1-2 times and can be used 3 to 4 times a day, whilst the spray provides relief for up to 4 hours. The bottles contains 100 applications and there is no need to throw away the bottle after 28 days like other eye treatments, the spray can be used up to 6 months after first opening. Available from Boots, Superdrug and other stores at RRP £15.31, thank you Optrex, there is finally a solution for dry eyes! X Neil.